Honda or Toyota more reliable? I would like to get a new civic LX 2016 or 2017. I'm reading conflicting reports on how reliable Honda is compared to Toyota. Seems Suburu and Corolla are more reliable but look boring since Civic redesigned everything. Intetested in opinions on the experiences of those owning the New Civic? Toyota is boring, I'm in favour of Subaru, they're great. Both very reliable. The only concern is the boxer engine service after the warranty expires. Honda is a reliable brand, but still has flaws. If speaking of Civic - this is the most reliable Honda among all. I own a 2012LX and my buddy has a new 2016 Touring. Frankly, it is hard to talk about reliability of a car that had been in production for one year, but my buddy's Civic runs great, like a clock, supporting the model's reputation. I personally, would never buy a CVT model, I would go with a manual and a 2 litre engine. I bought a 2016 Civic in mid-may and it has been great. I bought the EX model, which really has all the bells and whistles I need and it has been perfect. I haven't had any glitches or odd problems that can arise when a new model/engine come out. 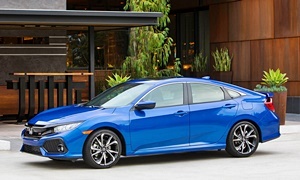 One thing I would look out for though is that it seems all the issues with the new 2016 civics are with turbo models. This is the first time they have implemented turbo in a mass-model vehicle like the civic so bear that in mind. The performance is still very acceptable with the 2.0 engine. As far as software and technological issues, I have experienced a few quirks with the stereo, but I mostly use apple car play so that could very well be any number of things. Honda has already issued a few software updates for the head units to cure known problems. Overall, I would bet my money on the 2.0 engine over the turbo. Naturally aspirated engines are much more reliable long term and when there is a problem they are much more easy to diagnose. I can say though that I have owned 3 honda civics and have never had a problem with any. Good luck! I wouldn't touch a car with a turbo or a CVT in it . I have driven CVT's in Nissans and they are terrible compared to a standard automatic . Honda could sell a lot more cars if they used a real auto instead of a rubberband auto . Turbos are fine but Honda is fairly new at it. The small Acura SUV had it at first but they dumped it because people did not like it. This is their first try in the main Honda brand. As stated elsewhere, the original 2.0 L engine without turbo is definately good - the turbo will be a question for a few yeas. However, Turbos are not inherently bad. I still own a 2006 Saab 9-3 which uses a 2.0 Liter Turbo and I love the car - even with 147,000 on it. I average 28 mpg in a mix of city and highway daily, which is very good. If I don't use the turbo I get better gas mileage. Use it a lot it goes down some but much less than if I had a V-6 engine. I plan to get my next car with a turbo if I can.